Adorning your bundle of joy's walls with homemade nursery décor not only saves you a bundle of cash, but can also give your baby's space a special, personalized feel. From nursery wall décor made from scrapbook paper panels to DIY button butterfly art on canvas, check out these ideas for DIY nursery décor that are cute yet cost-effective. 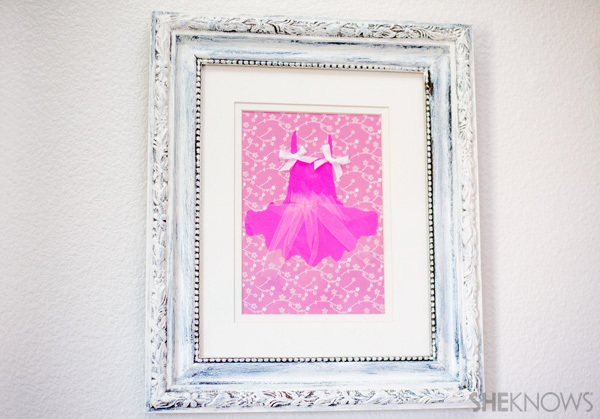 Using your favorite scrapbook paper, a few embellishments and a frame you can create DIY nursery décor that can change as often as the theme of your youngster's room without breaking the bank. Remove the glass from your frame and place frame on a piece of newspaper or other protected area. With a dry paint brush, lightly dip the tips of the brush into your paint and brush frame surface with a combination of large sweeping motions and dabs to create a more antique look. Set aside and allow to dry. To create your art, choose plain or patterned scrapbook paper and sketch or print out a shape or silhouette of your choice that matches the theme of your little one's nursery décor. You can also create a silhouette of your kiddo to use instead. With the scissors, carefully cut out the shape and glue it to your scrapbook paper. Using embellishments — such as jewels for a crown, feathers for an owl or tulle for a tutu — glue on extra details to your scrapbook creation. Place your homemade nursery décor in your frame and adorn your youngster's bedroom with wall ornamentations that are affordable enough to switch out as often as you like. You don't have to spend a bundle to create a nursery that looks like it's straight out of a catalog when you use popular nursery décor as inspiration for this fun and colorful piece! Paint the blank canvas any color of your choice, then set aside and allow to dry completely. Using the pencil, lightly sketch out your butterfly shape. Taking one button at a time, add a dab of glue to the back of each button and place within your butterfly silhouette. Repeat until entire butterfly is filled in. 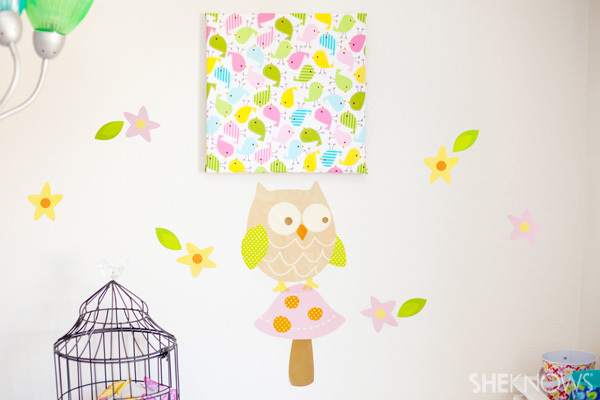 Once completely dry, hang your brand new nursery wall décor in your kiddo's room! 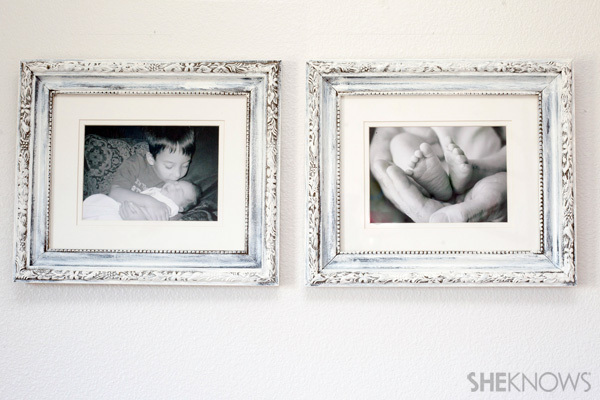 For a classic, yet sophisticated touch to your nursery decorations, framing photos of your little sweet pea in black and white make for an easy yet affordable way to tackle your nursery décor. Take your favorite photographs of your child and have them printed in black and white format. Consider including images of close ups of their hands or feet, or even while they are sleeping. Place photos in frames and line your kiddo's walls with black and white images that add class to your nursery wall décor. The easiest way to coordinate your nursery décor is to bring the fabric you're using in the crib set to the walls — not to mention stretching your nursery décor theme without spending a bundle. Lay your fabric face down on a flat surface. Place your canvas face down on the wrong side of your fabric. Pull your fabric back and wrap behind your canvas edges and secure using a staple gun. Repeat until all sides of your fabric have been secured, making sure to pull the fabric until it is taut but smooth in the front. 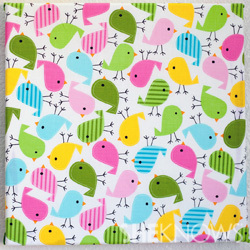 Repeat with coordinating fabric on another canvas and arrange your homemade nursery décor in a cluster that is sure to please even the pickiest of babes.